Lions and Lions and more Lions... OH MY! These may have all been spotted on the Flickr stream, but I thought I would get round to some commentary and context for this post. So here we are with the Dragon Prince/Lion Riders/Lion Princes of Chrace, which ever name you want to give them. Converted Dragon Princes for an ongoing High Elf commission I have been working on. 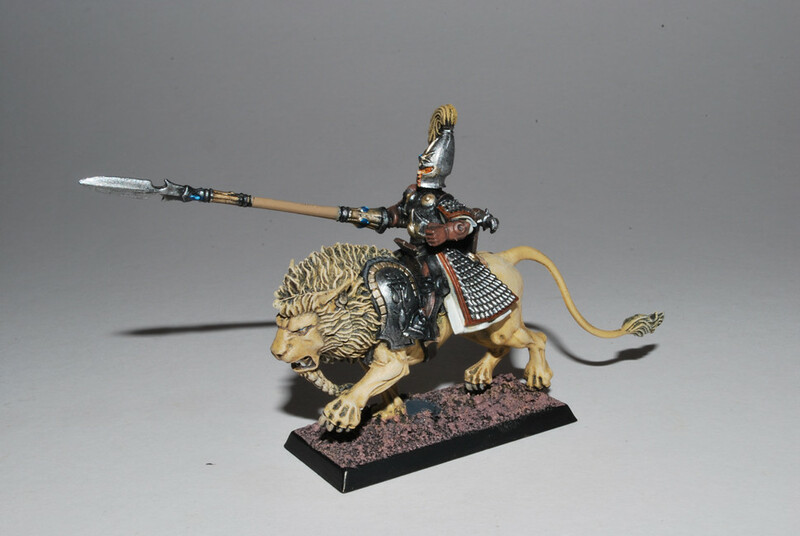 The army is heavily Chrace themed and the most distinctive unit that was going to be done was the Lion riding cavalry. 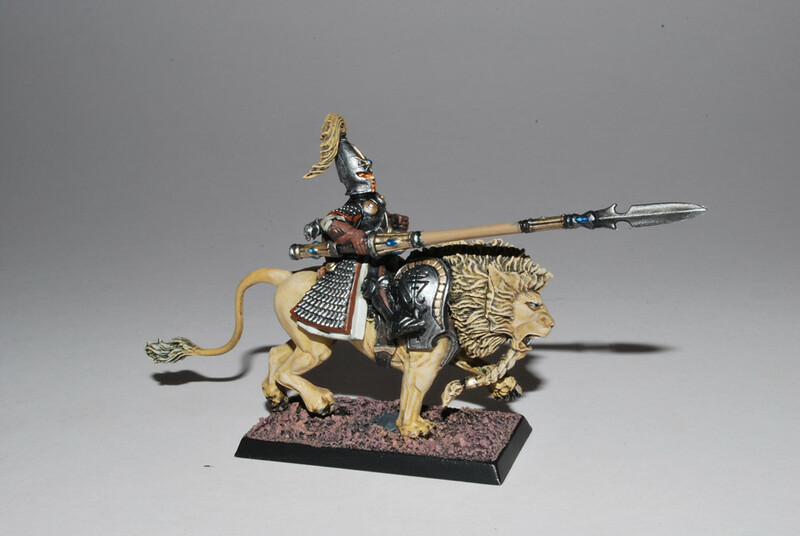 I had several chariot sprues to work with and the lions come in two half’s, which gives you a total of four possible combinations when you mix and match the two half’s. One of these poses however has both front paws in the air, this pose does not really work by default but it inspired the character conversion with the lion leaping. 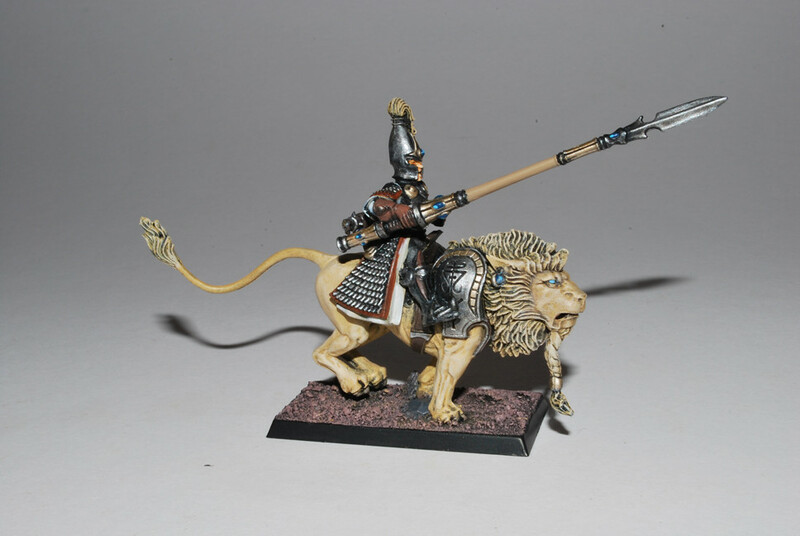 The lions are the easy part, with suitable variation and some careful basing so the lions ranked up the mounts were ready. The riders are obviously silver helms, just with chariot crew heads. 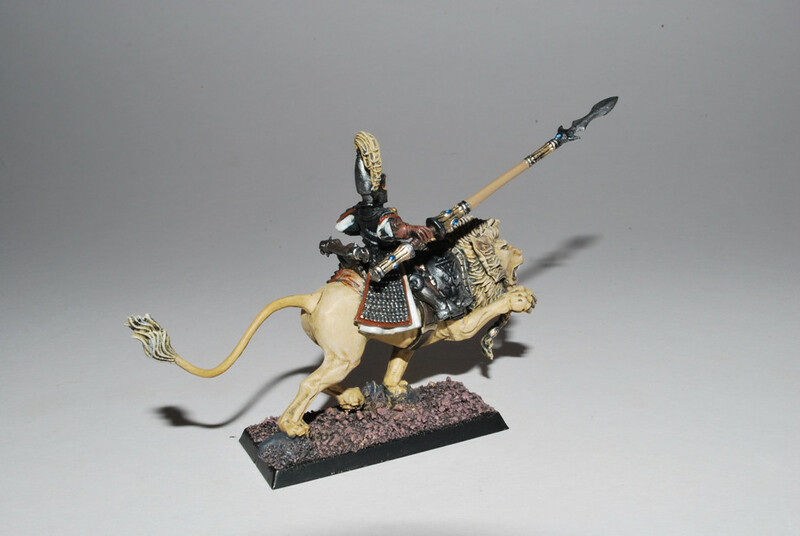 When I first dropped the built legs of the rider on the back of a lion they sat in the ideal position, but there was a rather large gap between the rear of the rider and the lions back. So I decided a saddle/seat back needed to be made, this was done with the pendant flags from the spearmen standard. 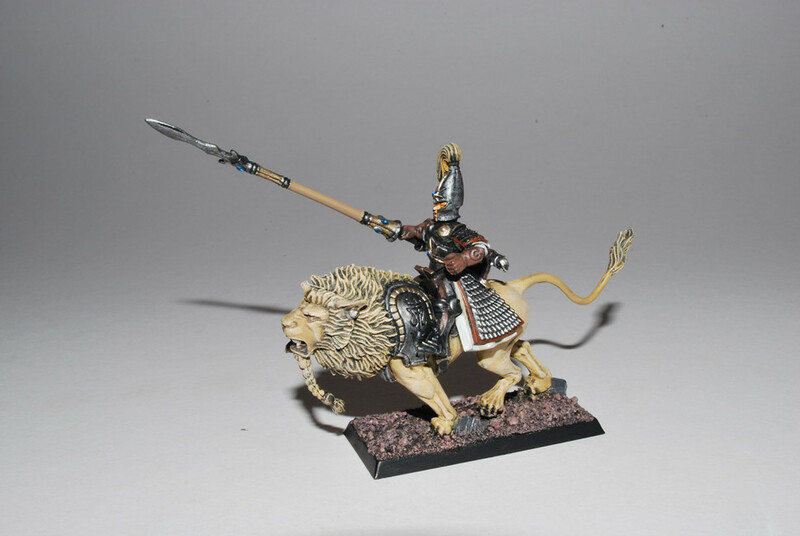 Not a standard I'm keen on and having plenty available from the High elf battaLION boxes I put them to good use as a decent support behind the rider. This let me keep the riders in a higher position and provided the sumblance of a fully realised saddle at the front and back of the rider. 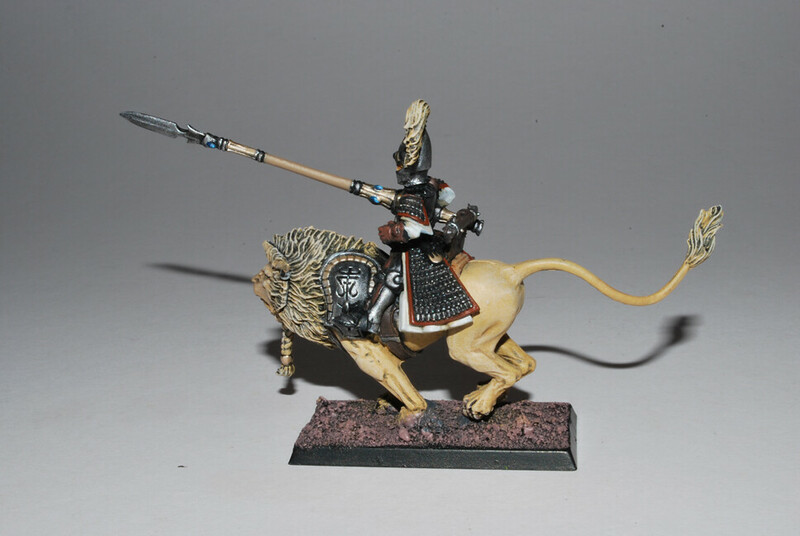 This is only my gaming standard of painting, the bases are still to be patched with grass, but I hope you like. The High elves are virtually completed for now and I hope to have more photos up soon, together with more finished projects and all the work I've been putting into my own Beastmen!